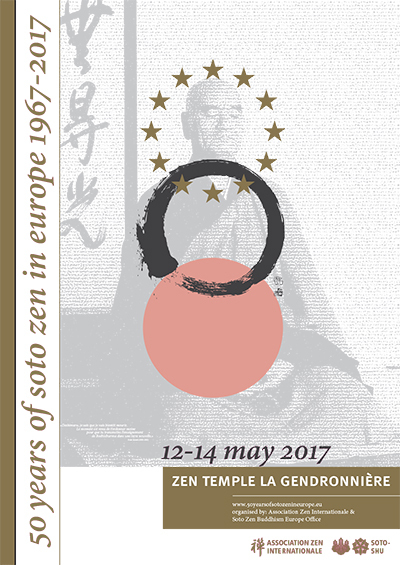 May 12th-14th, 2017 at the Gendronnière zen temple, we will commemorate the 50th anniversary of Master Taisen Deshimaru's arrival in France. During 15 years, he transmitted the practice of Soto Zen in Europe. The mornings of the 12th and 13th, a symposium will be held on the past, present and future of Soto Zen transmission in Europe, through the testimonials of the various sanghas developed around Master Deshimaru's old disciples. The morning of the 14th will be devoted to the commemoration ceremonies.